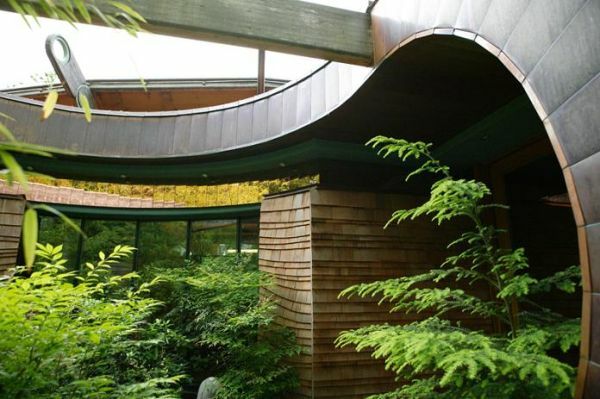 The above house was designed by architect Robert Harvey Oshatz. The client had few but challenging requests. First of all, he wanted the house to seamlessly integrate into the landscape and to sit in harmony with nature and the environment. The second request was to make the house a physical representation of music. This was a challenging detail that dictated the entire design. The architect took advantage of the structure of the siteThe lot had a very steep slope and it’s there that the house was built. This way the main floor is at the level of the tree canopy. It’s almost like sitting in a tree house. To make it integrate into the landscape even better, the architect used features such as walls of grass and organic shapes throughout. The walls, the ceilings and the floors are all made of natural wood. Other materials used include natural stone. It took the architect several years to complete this project but the results are stunning. 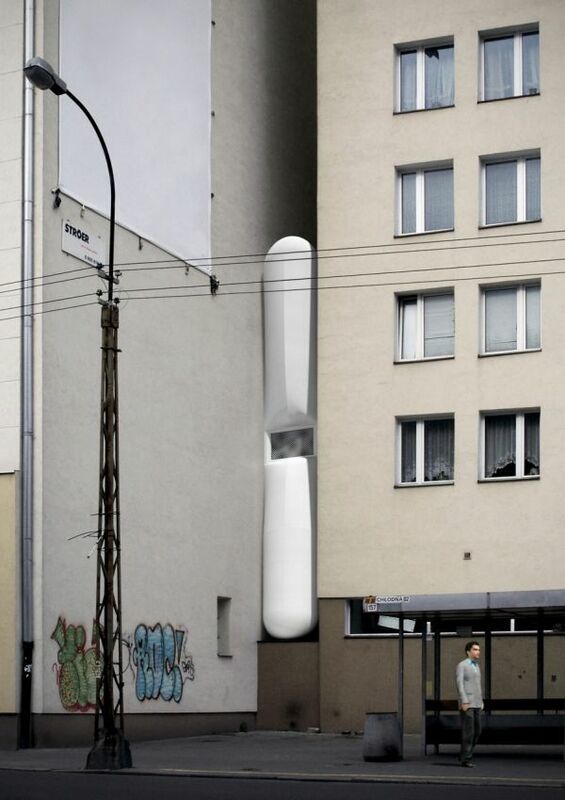 The world’s slimmest home. 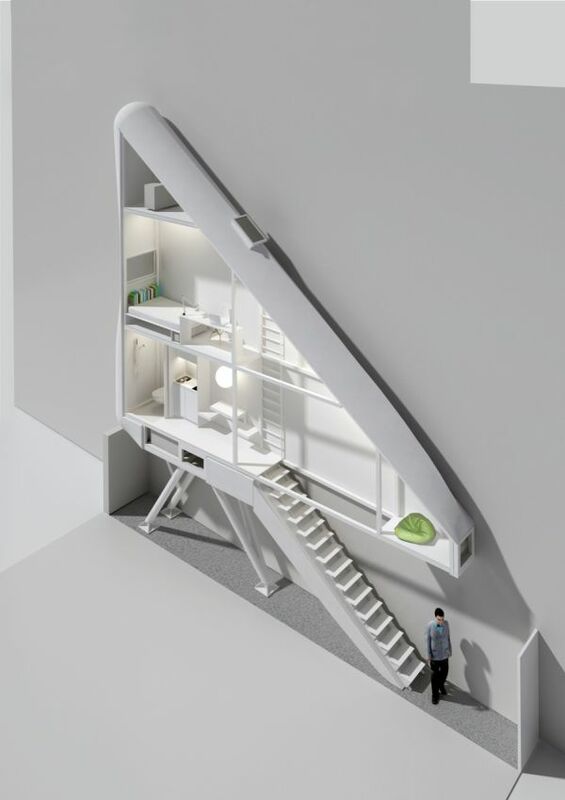 Known as the Keret House, this space is used as artist’s residence. The artist lives here a few days a week and, given the size and structure of this space, it can’t really be considered a full-time residence. The architect that designed the space has been working at this project for three years and finds it very interesting. He was inspired by the work of Israeli writer Etgar Keret, who writes extremely short stories. Every person has their passions and crazy ideas that they would love to explore. For the owners of these homes, the passion is skateboarding so they wanted these spaces to reflect that. The first home is the PAS House. It was designed as a continuous skateable space. It goes from one end to the other and it’s similar to a ribbon. 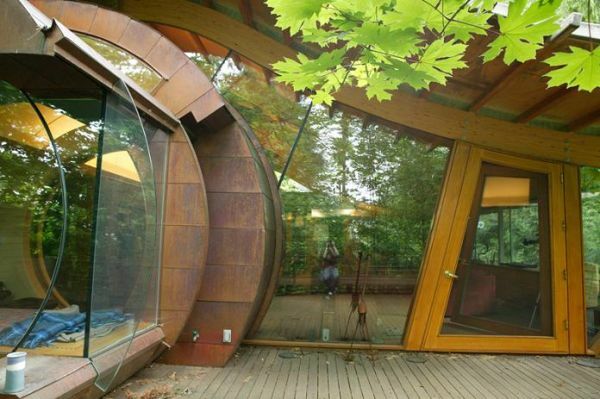 The PAS House was designed by Gil Lebon Delapointe and architect Francois Perrin.